Are you a travel junkie who loves to hoard souvenirs and travel memorabilia? Well, guess what? Keep on hoarding them and use these precious tokens as decorative elements for your home interiors! These lovely keepsakes are perfect decors that add a touch of vintage feel to your home. Plus, it'll keep on reminding you of you awesome travels! Check out these decorating ideas. The wall decor above shows us a glimpse of… African culture? Moroccan art? The 70's era? To round it all up, this style is simply giving us eclectic vibes! It's a mix of various artistic pieces that are individually originating from different parts of the world. From the wooden carvings and wooden doll figures to the porcelain plates and glass bottles, this wall art is truly striking (and Instagram-worthy)! Living Innovations Design Unlimited, Inc. is definitely offering us a whole new level of interior designing! Find inspiration from their eye-catching projects! If your an aesthetic for world tourism, then you definitely have the drive and passion to travel all over the globe! And if you're planning to, don't forget to grab a souvenir item of a famous landmark. Whether it's The Tower of Pisa in France or The White House in Washington, D.C, bring them home them right away! 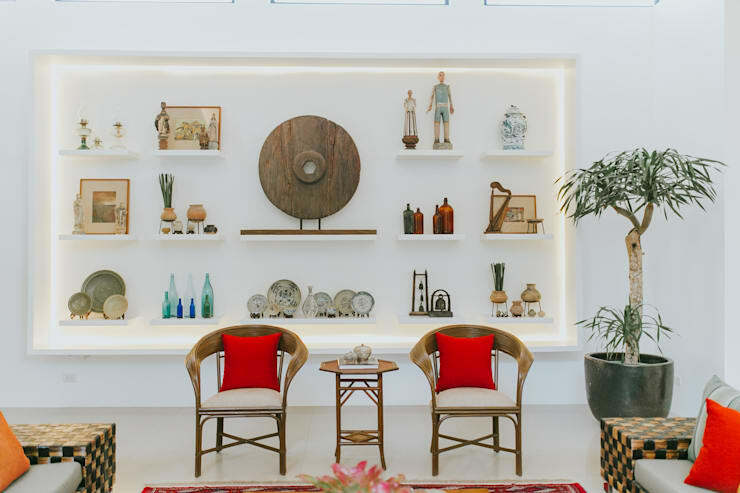 For local travels, it's an absolute must to visit travel favorites like Vigan or Palawan and collect souvenirs like a calesa or seashell decor. 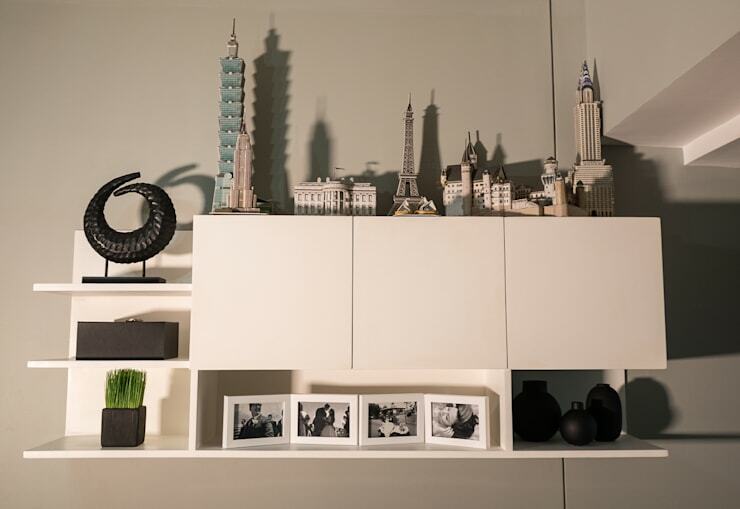 Anything that represents the tourist spot will create a nostalgic feeling to your home! Alcohol is also part of travel, you know. So if you're fond of bar-hopping in the islands of Boracay, or searching for amazing breweries in Metro Manila, it's smart to purchase a craft beer or premium gin not for drinking, but for display! It's a common trend for Filipinos to display expensive alcoholic beverages in their cabinets or shelves. While this is fine, switching the game a little bit wouldn't hurt. Be more creative and use other forms for display. Take a cue from this wall decor above -- the use of fruit baskets provide more artistic feels to the room! This New York apartment-inspired living room shows amazing versatility through its use of solid wood, raw concrete-flooring, large steel-framed windows, and industrial inspired accessories. Apart from that, the design boasts its tasteful wall decor where vintage vehicle plates and various brand plates are flaunted. Shopping for antique items is always a fun way of exploring the beauty of old and scrap items and turning them into something stunning. 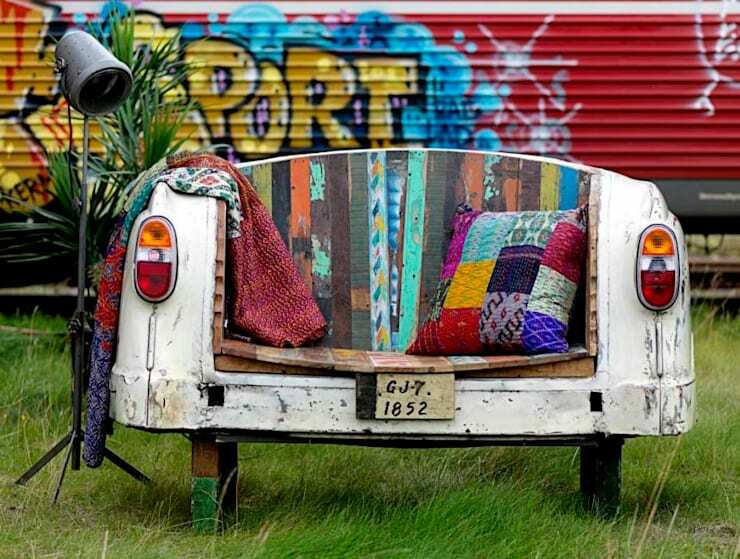 This spare piece of an old vehicle from the junkyard is magically transformed into a hippie seating area! The natural, unpolished features offer a rustic and vintage feel, and the colorful accents add life to the setting. If this doesn't wow you, we don't know what will! You might want to check this ideabook too. Upgrade your home with these 14 awesome wall decor ideas!